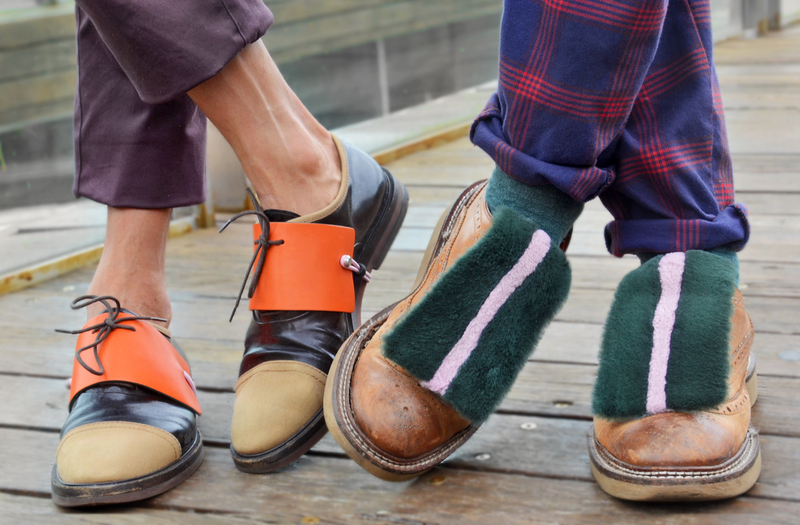 When it comes to men’s shoe accessories, shoe laces and fringe flaps spring to mind. There hasn’t been anything innovative and luxurious until Karmuel Young, a multi-medium design label, came into the market in 2014. The debut collection, Project 01 – Dress Shoe Reform, focused on revolutionary shoes cuffs and laces that came in quiet primary and vibrant secondary colours. 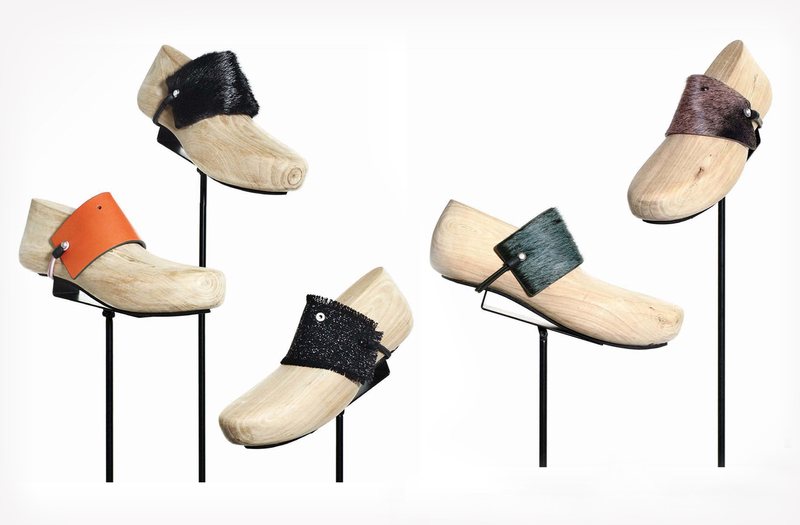 The functional cuffs are minimal in aesthetics but instantly add a pop of contrast and elevate any guy’s shoe game. Because they are easy to use and have a modern design, the cuffs work on any footwear and become part of the shoes themselves. 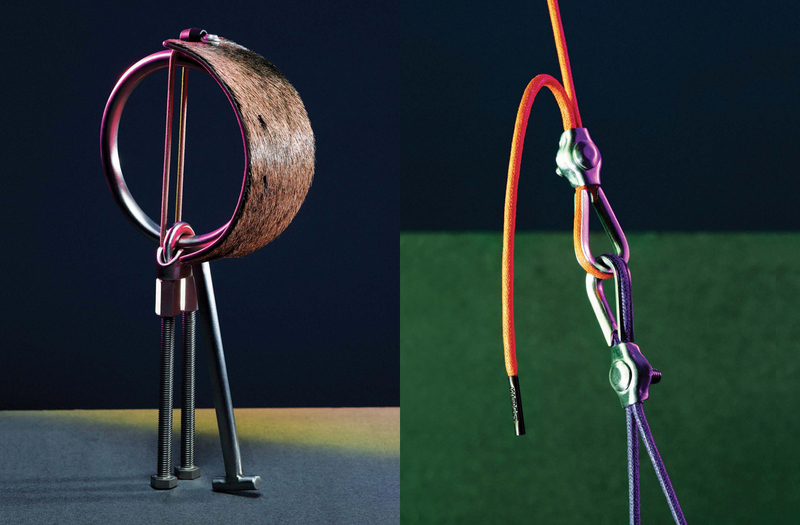 The shoelaces are constructed in a tubular architecture where the cotton cords are finely weaved and exquisitely waxed. The styles come in an array of vibrant secondary tones and mélange grey which complement the sophistication that guys are aiming for. The brand adds a bold and organic touch to Project 02 as its commitment to quality and innovation are carried over from Project 01. Italian leather is tanned with vegetable tannin and the edges are burnished with contract colours. Rex and mink fur are hand-paired, calf skin is uniquely dyed and the tweed fabric is woven with heather effect and frayed edges. 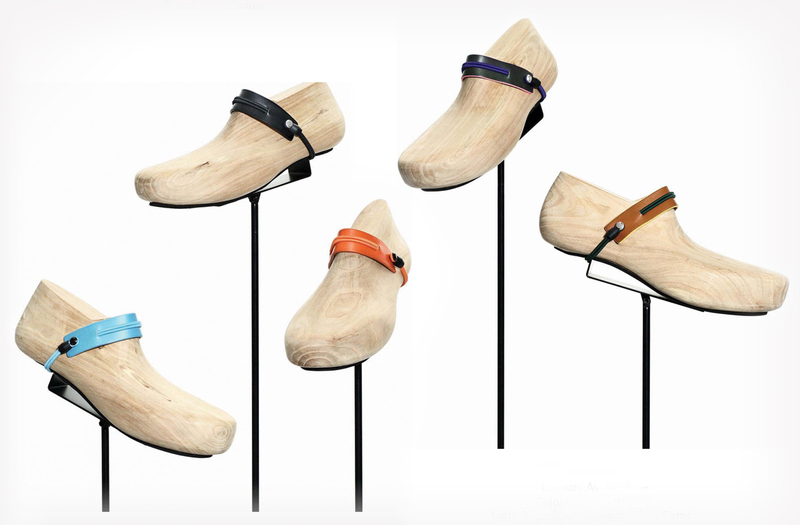 The use of natural materials is part of Karmuel Young’s ethos to ensure the product mould nicely on the shoes. 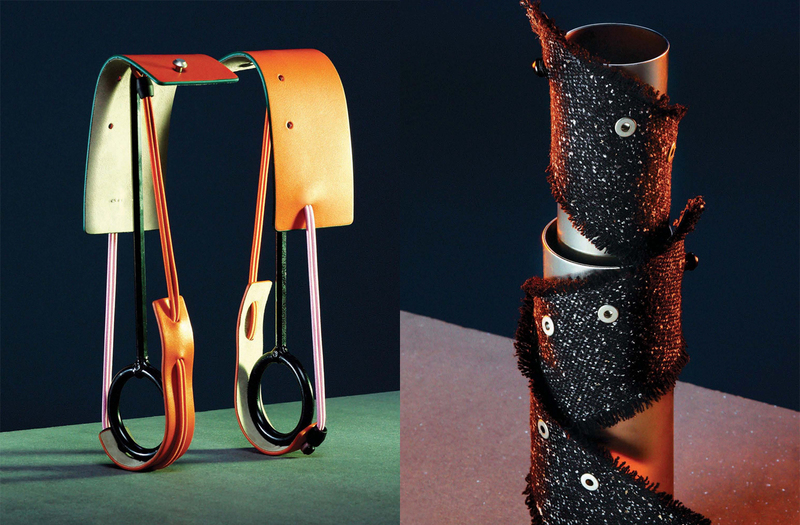 The details that go into craftsmanship reflect the beauty and strength in the products and this is also how these cuffs and covers transform the ordinary into something that is luxurious and individual. The brand philosophy – A New Man In Town – celebrates individualism and guys who seek to present themselves in an innovative way. I chatted with Karmuel Young to get an insight on what is next, where inspirations come from and how it all began. – How has your previous experience working with Damir Doma and Ute Ploier help with the launch of Karmuel Young? I learnt a lot from my previous experiences which honed my skills in organising and developing a collection from piecemeal inspirations to a core conceptual idea. These skills also allow me to consolidate the brand theory and direction. – How do you design? Where do you get inspirations from? The inspirations are divided into two areas, Design and Style. Design refers to the media or object in men’s daily life where I get inspiration from – what they need, what could be improved. In terms of style, I am always inspired by non-fashion ideas which can be generated into a completely new fashion concept, which is more unique and inspiring. Based on the inspirations, I will start researching, sourcing and experimenting to define the project theme and direction. Through this process, I eliminate the redundant elements. The finalised ideas would be put into a book, so called “script” for each project. All the creations and decisions would be based on this script. This is how I usually design. – There aren’t any labels doing what Karmuel Young is doing. How did the idea of designing luxury shoe cuffs for men come about? 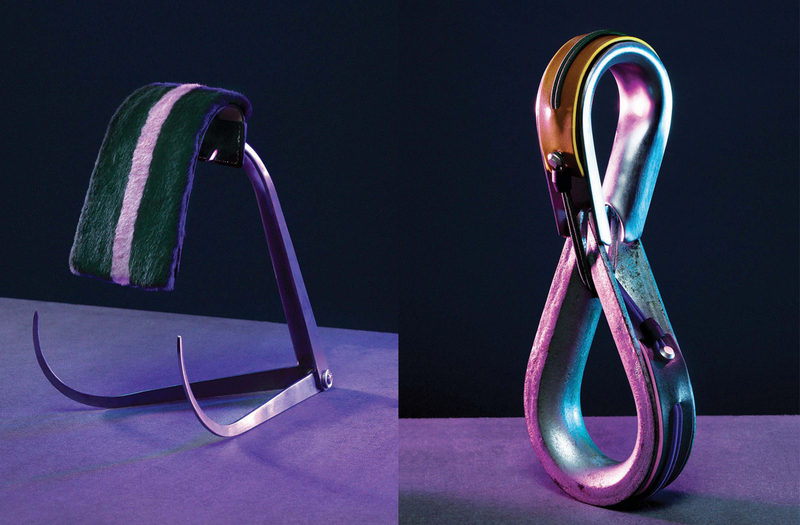 The brand is inspired by men’s daily needs and aims to create accessories which aren’t readily available in the market. I am a dress shoe collector and while many guys elevate their style with a pair of nice leather shoes, I wanted a way to add value and personality to them. That is one of the reasons for designing the shoe cuffs, shoe covers and shoelaces. – What can we expect from Karmuel Young in the next few projects? We will maintain the brand’s mission “Inspired by everyday routines and the enormous creative potential lay in menswear”. We aspire to transform regular and easily forgotten details into unconventional possibilities. For the next project, we will continue to explore and develop new designs that enhance men’s look and style. – How would you recommend guys to choose the shoe cuff that works for them? The SC-25 and SC-65 shoes cuff series work with most men’s heeled shoes and enhance and modernise the classic derby or oxford shoes. 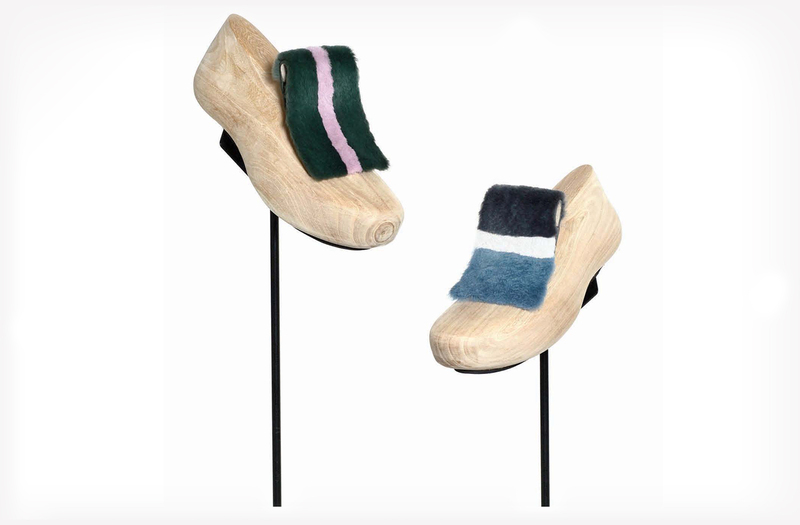 The SC-70A shoe cover series work for any type of lacing shoes with or without heels. This new style is perfect for pairing with Stan Smith sneakers to achieve a sports luxe look.